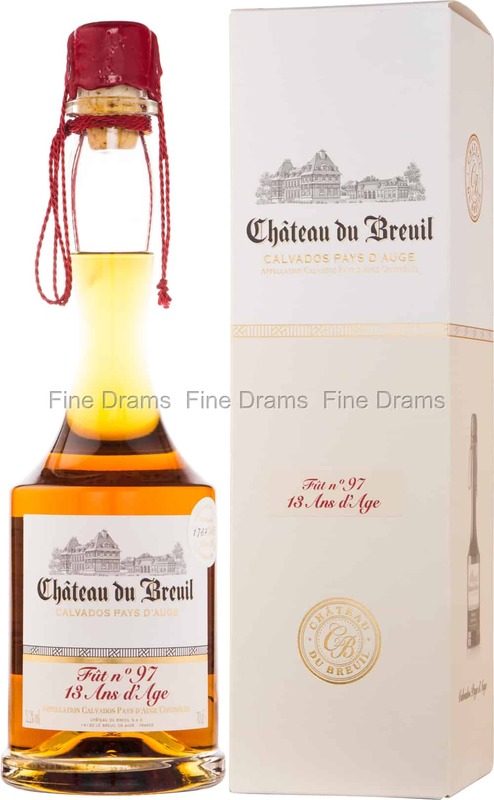 A special, single cask release from Normandy Calvados producer, Chateau du Breuil. Chateau du Breuil is found in the heart of Normandy, based in a traditional castle. This bottling has been produced using apples from the Pays D’Auges region. The spirit is double distilled, and matured for 13 years in a single French oak cask. The final result is an exquisitely delicate and complex Calvados, with notes of dried green apple, fruity acidity, vanilla, milk chocolate, toffee, cloudy apple juice and some fragrant, spiced oak. Bottled at a warming 52.2% ABV, and presented with a traditional cork and wax closure, this is a well-crafted product throughout.